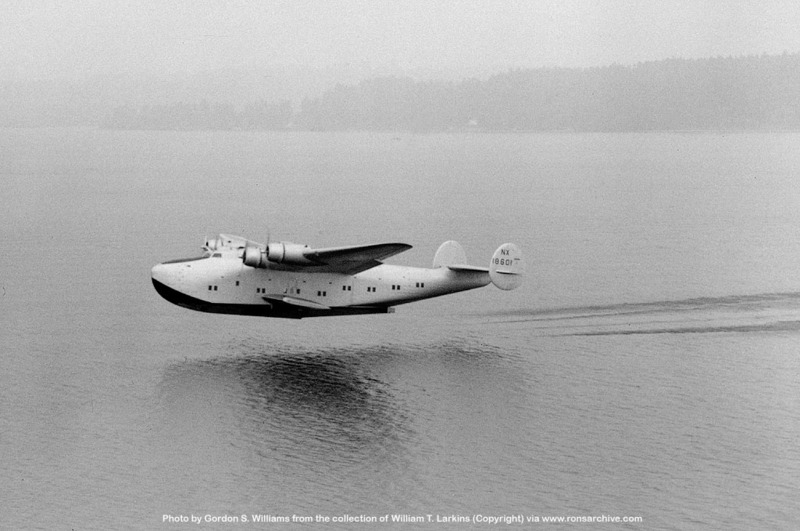 The 1st Boeing 314 Clipper, NX18601, with its second tail configuation. Photo by Gordon S. Williams taken in the Seattle area in 1938. I really enjoy this rare air-to-air. Great shot and you can almost feel the Seattle drizzle. From the collection of William T. Larkins (Copyright).